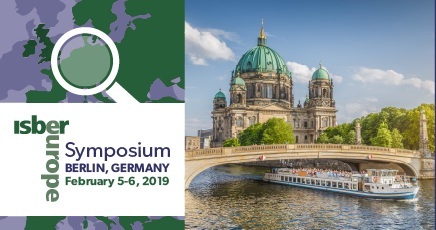 ISBER's 2nd Biospecimen Research Symposium in Berlin, Germany, on February 5-6, 2019 at the Mercure Hotel MOA Berlin. The symposium will feature top-quality technical programs on a variety of topics, exhibitions, and networking opportunities, which creates an intimate venue for delegates to interact and collaborate. ISBER is excited to feature presentations of recent findings and developments in the field of biobanking by international biospecimen research experts. The symposium will include a biobank site visit, four sessions, oral abstract presentations, several opportunities to interact with various exhibitors, and a networking dinner. Follow this link for more information and the programme.